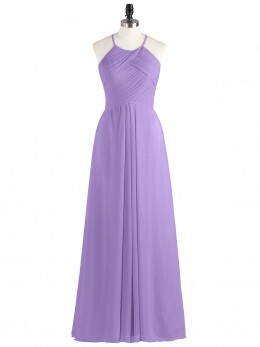 Well then the Heloise is the perfect style for any bridesmaid looking for a beautiful back detail. 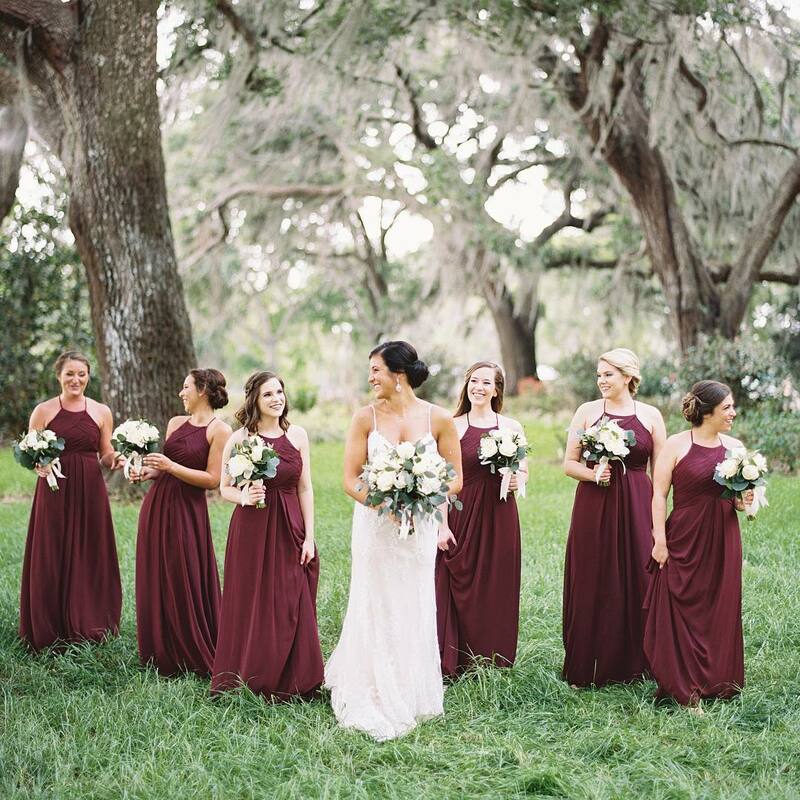 The lovely back cowl neckline will look great on everyone in your bridal party. 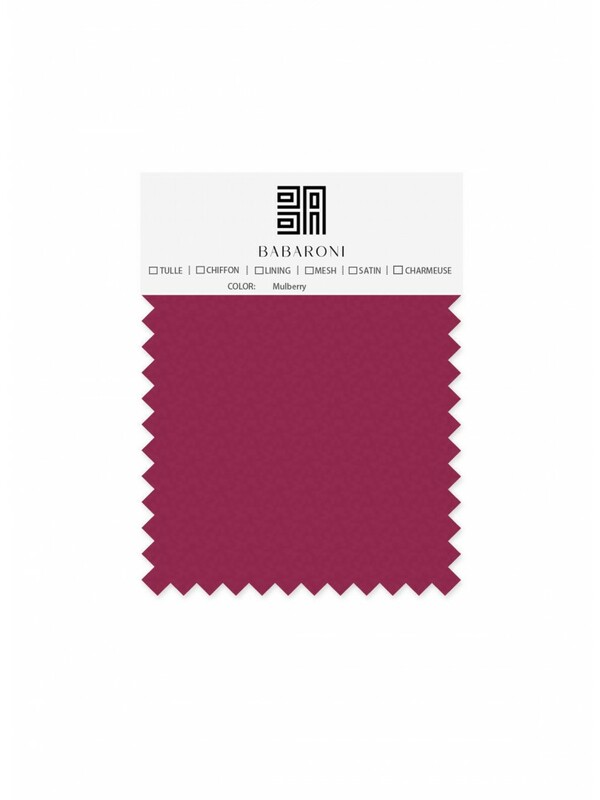 I had all of my bridesmaids use Babaroni for their dresses! 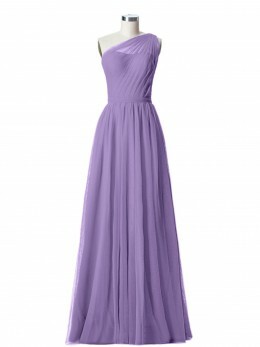 They were allowed to pick any dress that was floor length and in chiffon fabric. 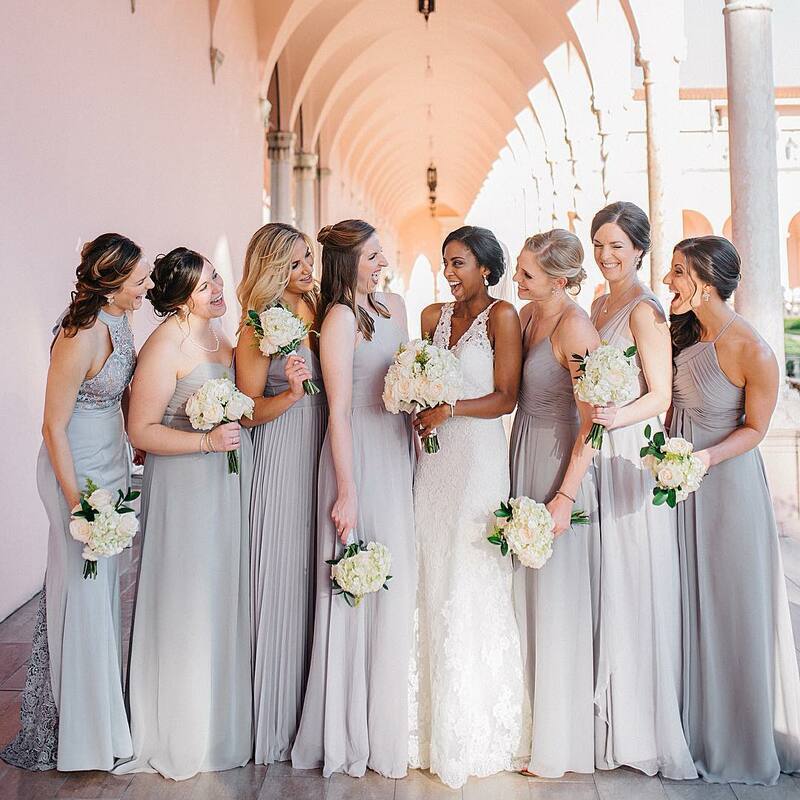 It was so easy to filter these dresses out and allowed them to choose a dress that made them feel beautiful! 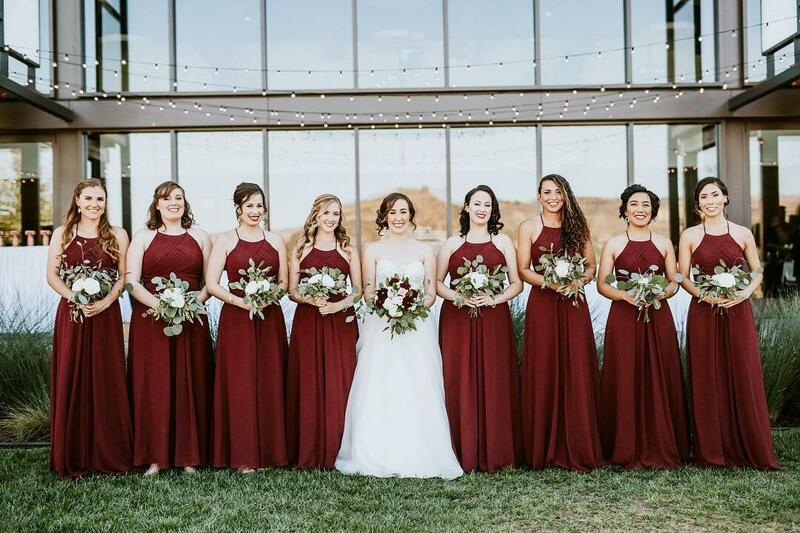 My bridesmaids had very different body types and they all looked like goddesses in this dress. 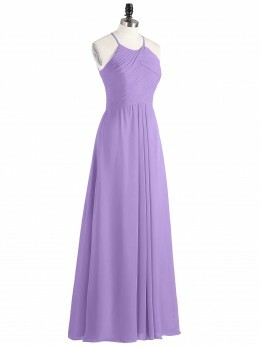 We ordered it in the blushing pink, and it flattered all of their complexions. 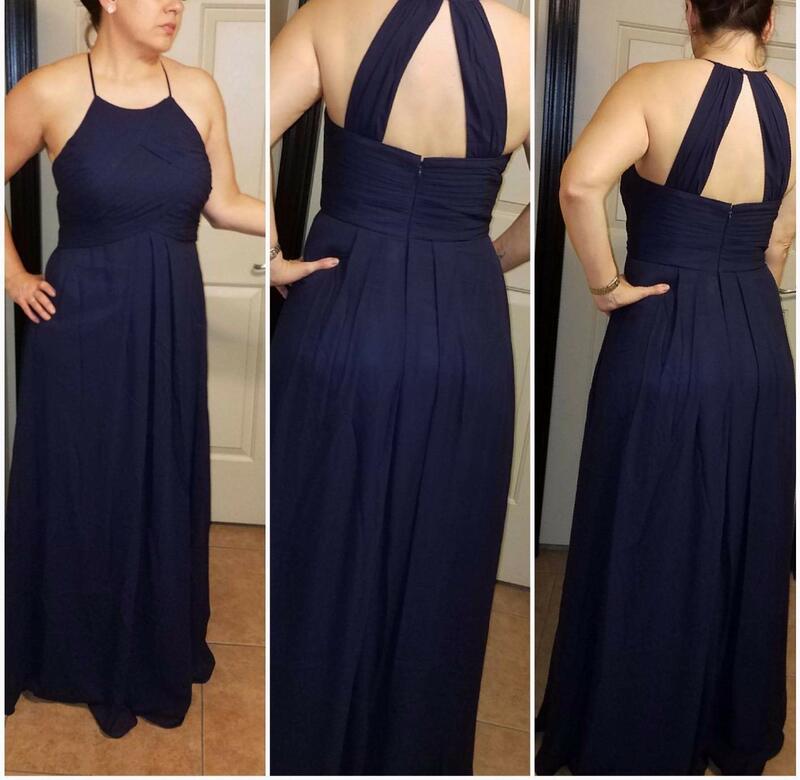 I have never bought dresses online before. This is my first attempt. 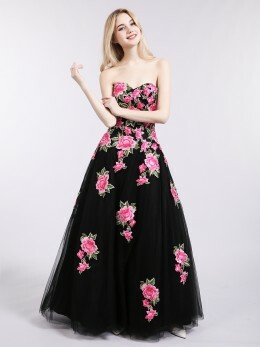 Because we can not try it on, so I've been worried about the quality of the dresses, if it will suit me? 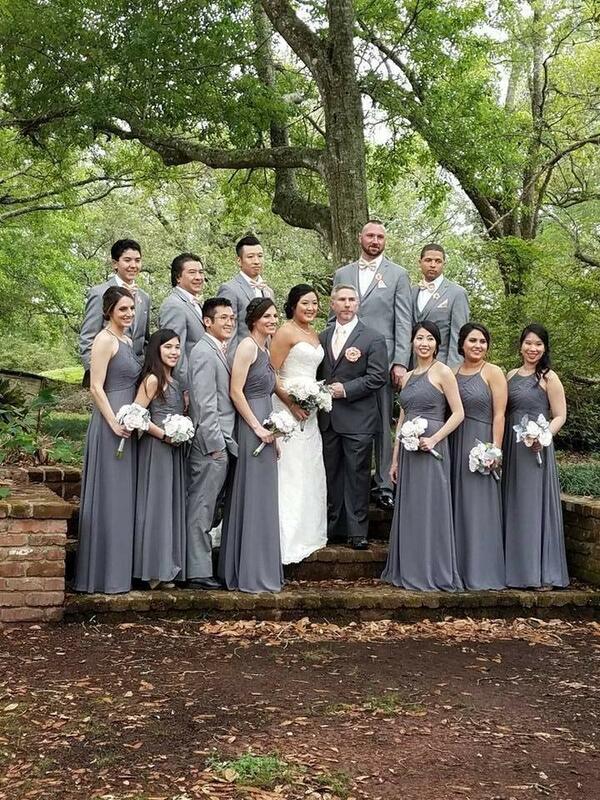 But this dress really gave me a surprise, this is my best friend's wedding photo, each bridesmaid dress is perfect. 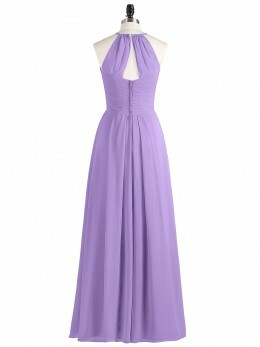 I highly recommend this dress! 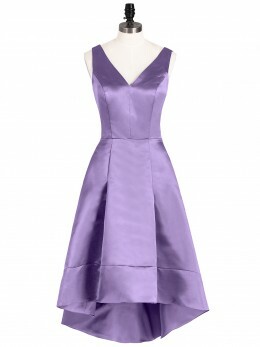 I had the girls buy this dress for my wedding. It is not only reasonable but great quality. 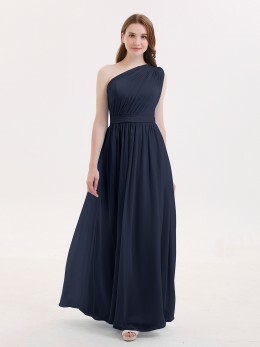 The only thing some of the girls had to get hemmed was the length. 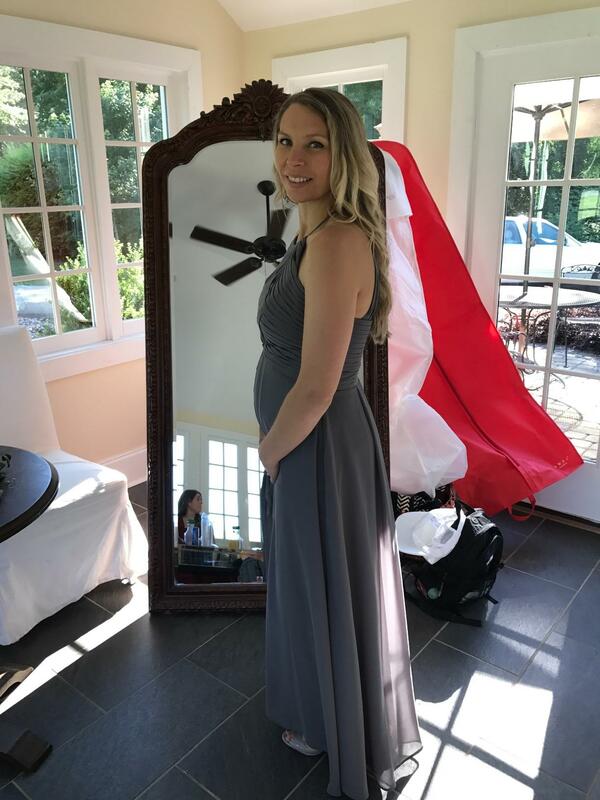 I was 3 months pregnant when my friend got married. 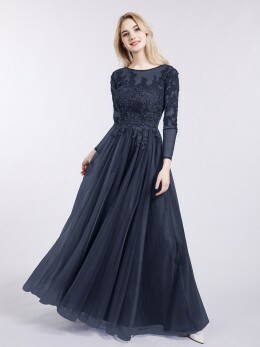 I thought I can't buy suitable bridesmaid dresses, but the custom code here really suit me very well, very grateful to the customer service for answering me patiently. 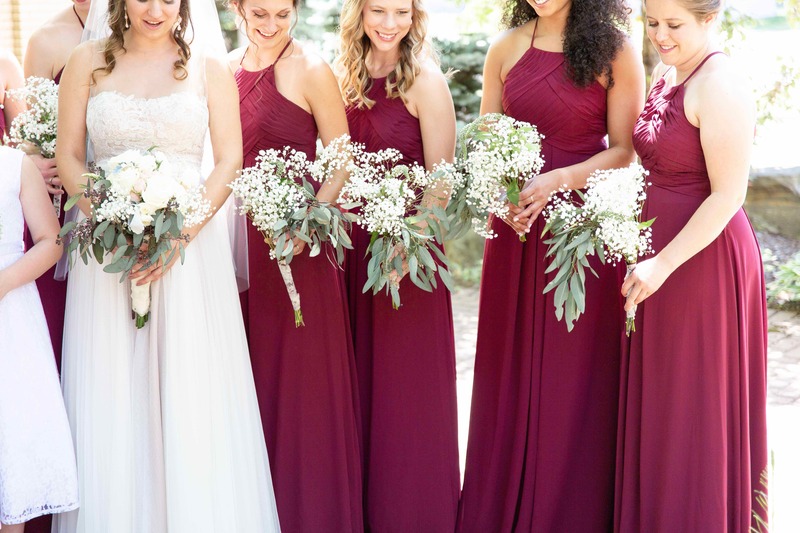 I ordered 7 burgundy dresses for my girls, all are in good quality, and the fabric is also very comfortable. highly recommend! 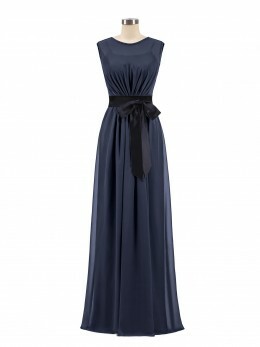 I have bought 6 dresses in burgundy for my girls, all of these dresses fit very well. Here is a picture. It was really wonderful!!! 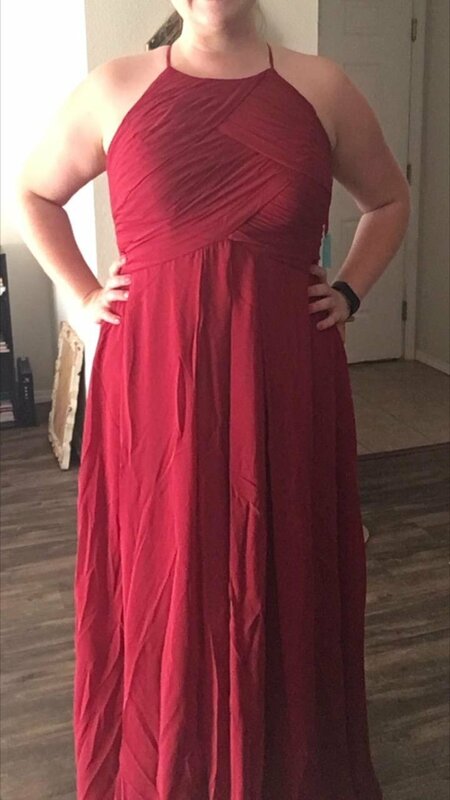 I'm a little bit overweight, and I've been struggling to get a big size dress, but this dress really suits me, and I love it.thank you. I loved this dress! It was really flattering and cinched in at all the right places. 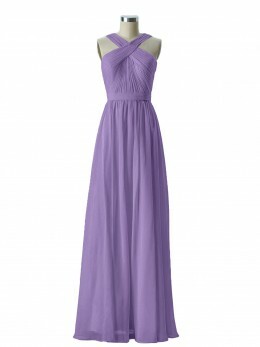 The fabric was nice as well, especially for a summer wedding. 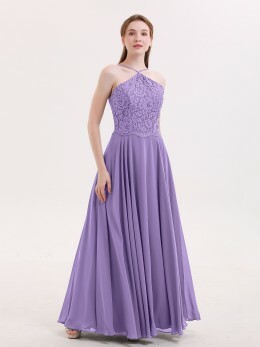 The color of the dress is very beautiful, the customer service is very patient, you are really a good website.I would recommend it to my friend. 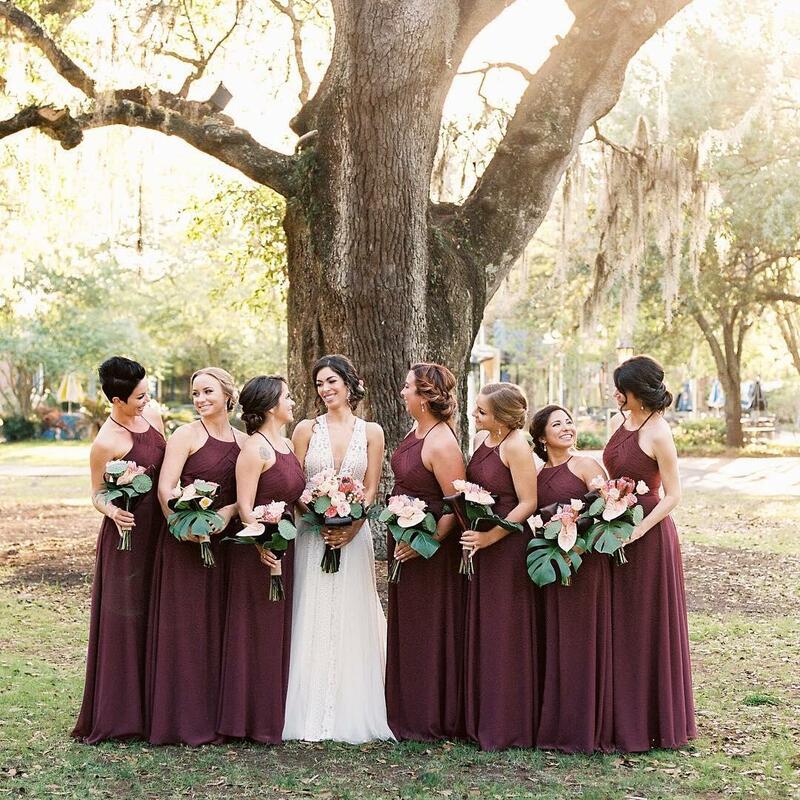 My bridesmaid's dresses turned out even more beautiful than I imagined. 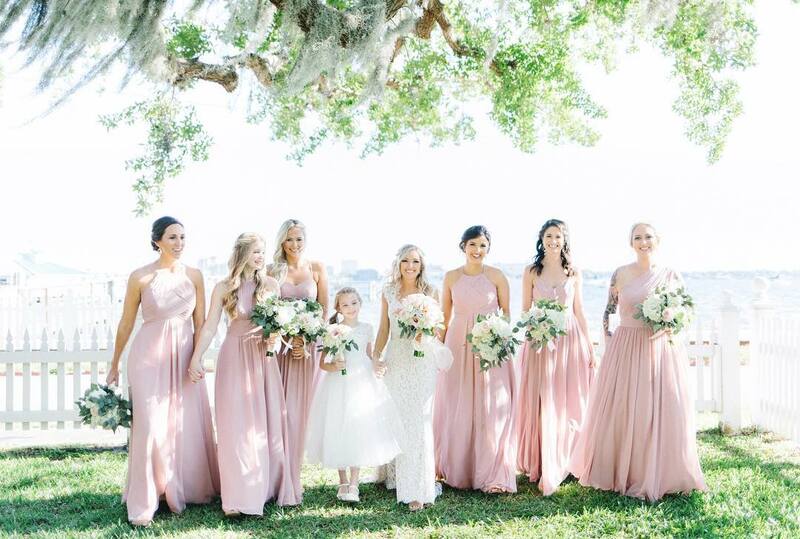 The color was so amazing and the dresses were great quality. 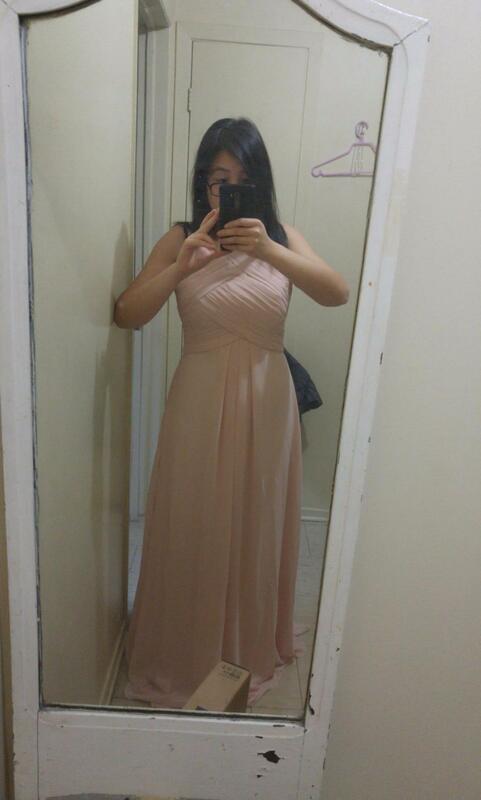 Beautiful dress and the top fits perfectly. Only problem is that it is 1 inch too long.